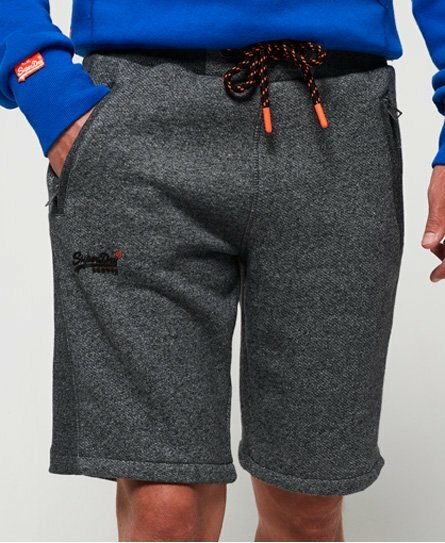 Superdry men's Hyper Pop shorts from the Orange Label range. These shorts feature an elasticated drawstring waistband, two front pockets with a zip fastening and a super soft lining. Finished with a rubberised Superdry logo on one leg. Jogger shorts are your year-round lounge wear saviour for styling with a hoodie on those lazy days.